Two cyclists are enjoying a ride through the small community of Santa Ynez in Utah when they are struck and killed by a mysterious car. Later, a hitchhiker is run down by the same car. The local police investigate the deaths but can get no leads. As the death toll increases, Captain Wade Parent is given the assignment to find the car and stop its driver. But during his investigation, he learns the deadly car has no license plates and none of the witnesses to its attacks ever saw the driver. Parent sets up roadblocks around Santa Ynez to keep the murderous car out, but it manages to sneak in and attack a high school marching band. 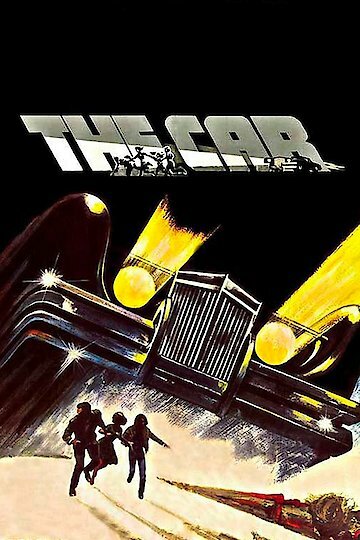 Many in the town begin to believe this is no ordinary car, that it is controlled by some supernatural force, and it has apparently set its sights on Captain Parent and his girlfriend Lauren Humphries. The Car is currently available to watch and stream, download, buy on demand at Shudder, Amazon, Vudu, Google Play, iTunes, YouTube VOD online.